The premier skiing equipment rental store in Angel Fire, New Mexico. 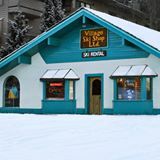 Welcome To Village Ski Shop! We welcome new customers, and we want your rental business. We provide everything to make your rental experience hassle-free. THE package for aspiring advanced skiers, all mountain experts and those who want the best of skis and boots. Super upgraded boots. Super fun equipment at a great price. Performance sport skis and warm, comfortable boots are perfect for learning skiers. The skis are very flexible and very easy to turn. Enjoy a $2 per person per day discount by reserving your equipment online! We offer FREE ski or snowboard equipment rental packages if you are taking a lesson on your first day at Angel Fire. Call 575-377-2475 for more information and reservations. This offer is not available December 25-30. No crummy, low level rental boards at Village Ski Shop - only top riding models from Never Summer, Salomon and Burton. Our Performance Snowboard Package comes with Burton bindings and top notch Salomon boots. You can upgrade to our Advanced Snowboard Package to get the absolute hottest boards. We rent Atomic and Salomon waxless skis that are perfect for groomed trails or our National Forest trails. We rent adult, junior and child sizes. Our Atlas snowshoes are lightweight, easy to handle, and fun, fun, fun. You can use the prepared cross country trails or make tracks of your own. We have a great list of trails from which to choose. We rent adult, junior, and child sizes. Q: Are you close to the slopes? A: Yes! Our shop is located a half block from the slopes. You can walk to the slopes or the free shuttle will give you a ride! $2.00 per person, per day DISCOUNT from regular rates for all equipment reserved online. Each season we spend tens of thousands of dollars more on skiing equipment than anyone else. This insures you get NEWER, SAFE, RELIABLE equipment. FREE Rental Breakage Insurance with every rental. FREE overnight ski and snowboard storage. FREE parking next to our shop with FREE shuttle to the slopes. NO CLEANING FEES upon return. Personal, Individual attention fitting your boots & skis. 1-800-469-9327 for questions or concerns. 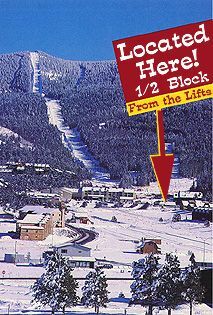 We are THE Ski & Snowboard Rental Specialists in Angel Fire. Copyright © 2019 Village Ski Shop. All rights reserved.